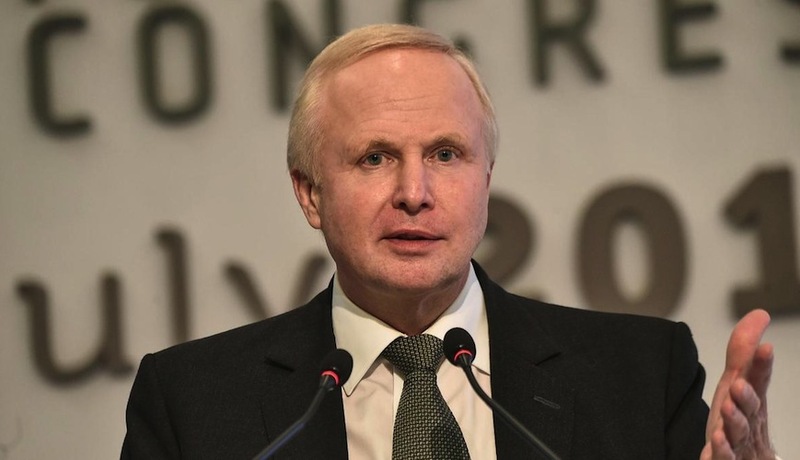 Oil major BP aims to spend $1.8 billion in Egypt next year and $1bn annually in Abu Dhabi as it looks to expand its operations in the Middle East on the back of new discoveries and licensing rounds, according to its chief executive. BP, one of the world’s largest oil companies and the earliest explorer for oil in the Middle East through the Anglo-Persian Oil Company in Iran, reported a second-quarter profit of $2.8bn for the second quarter of the year, with $12.4bn in cash flow, which it said more than covered its organic capital expenditure. “We’ve spent in the last two years $6.8bn in Egypt and it will be about $1.8bn dollars next year, Khazzan is way out there in Oman and the Adco concession each year as well is well over a $1bn of capital expenditure each year for Abu Dhabi, so it’s a really important part of BP’s world,” Bob Dudley told The National in Abu Dhabi. Khazzan refers to BP’s huge gas development project in the Omani desert, which is expected to produce up to 1.5 billion cubic feet of gas per day by 2021. Adco is the former name for some of Abu Dhabi National Oil Company’s offshore concessions. Mr Dudley said discussions were under way to use capital in Adnoc’s expanding Ruwais downstream facility, where the state producer is looking to invest $45bn with partners over the next five years. The downstream strategy was announced in May in the presence of Mr Dudley at an investment conference in Abu Dhabi and includes doubling refining and tripling chemicals capacities, with plans to build the world’s largest integrated refinery. “We’ve reviewed, and we’re part of the process with Ruwais. That’s yet to be decided. For us that’s the capital, we’ve been working with Egypt and the government there and are involved in the downstream there, trading. We do a lot there,” he said. Mr Dudley dismissed concerns that BP had withdrawn its interests in the Middle East, particularly in Abu Dhabi, where it has been a long-term partner on the Adma-Opco concessions, now renamed Adnoc Offshore. “We have had to step back a bit because of the BHP [acquisition] but we’ve been increasing our budgets in Oman, in Egypt,” he said. BP concluded its purchase of global miner BHP Billiton for $10.5bn earlier this year, as it looks to increase its presence in the US shale basins.